I’ve been meaning to post a simple update to my previous visualization of political blogs’ link similarities. In the previous post, I used GEM for layout, which was not, in hindsight, the best choice. 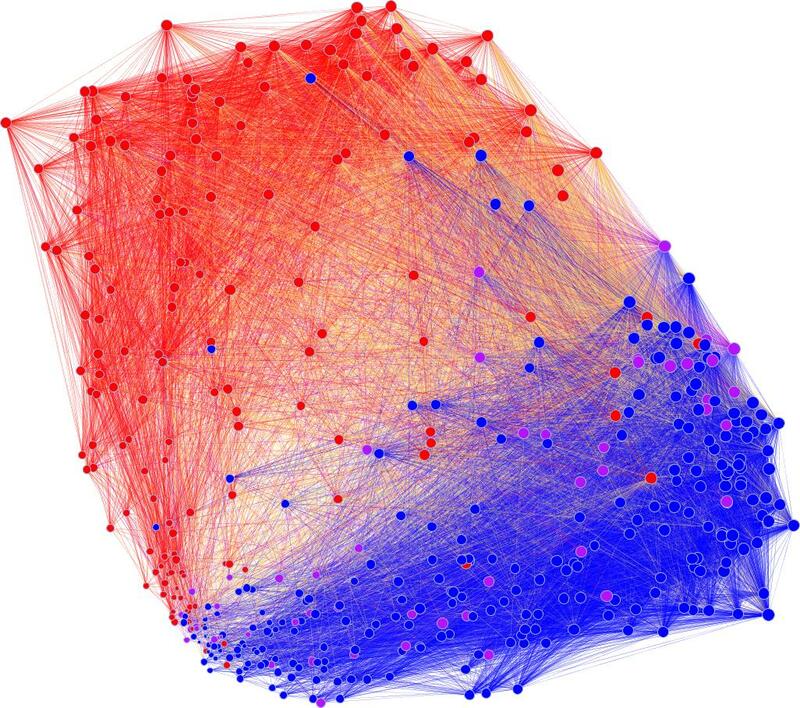 In the visualization in this post, the edges between blogs (the nodes, colorized as liberal, independent, and conservative) are weighted as the Jaccard similarity between any two blogs. The visualization is then laid out in GUESS using multidimensional scaling (MDS) based on the Jaccard similarities. Tags: BALANCE, politics, research, visualization. Follow any responses to this post with its comments RSS feed.